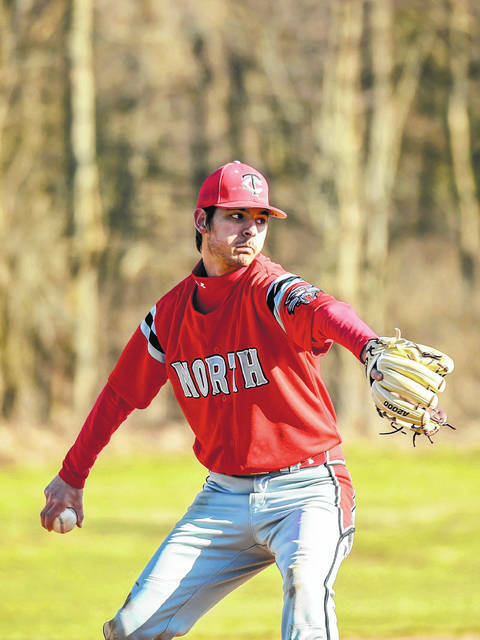 Tri-County North’s Collin Whipp delivers a pitch during a Cross County Conference game against rival Twin Valley South on Tuesday, March 26. 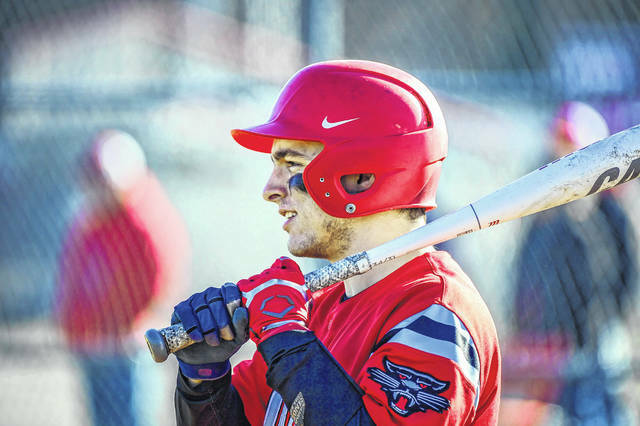 North let an 8-run lead disappear before rallying for an 11-10 win. 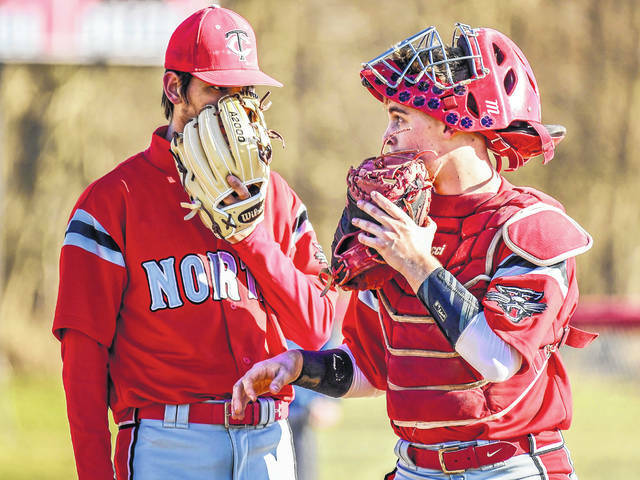 LEWISBURG — After seeing an 8-run lead disappear against their rival, Tri-County North had just enough left to down Twin Valley South, 11-10, in a boys high school baseball game on Tuesday, March 26 at Tri-County North. North scord a run in the first on hit by Clayton Finney. They added another run in the third for a 2-0 lead. In the third, North runners crossed the plate three times for a 5-0 lead. An inning later, North extended its lead to 8-0. 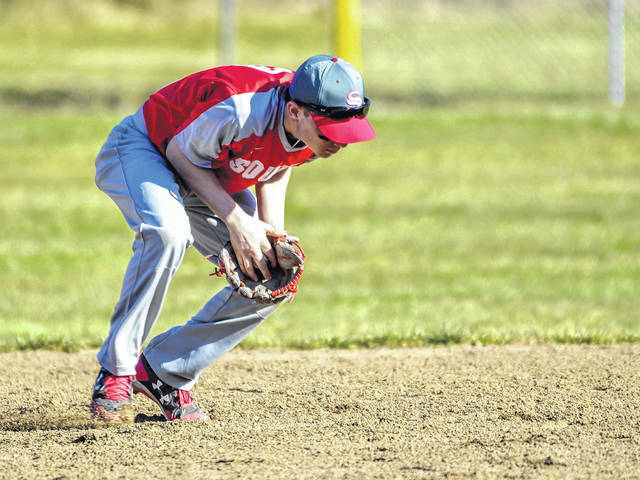 But South responded by scoring nine times in the top of the sixth to take a 9-8 lead. North tied the game in the bottom of the sixth only to see South regain the lead in the top of the seventh. North plated a pair of runs in the bottom of the seventh to pull off the win. Collin Whip went 3-for-4 with a pair of RBIs. Wyatt Hutchins added a pair of hits and drove in two runs. North was able to take advantage of eight walks as well. 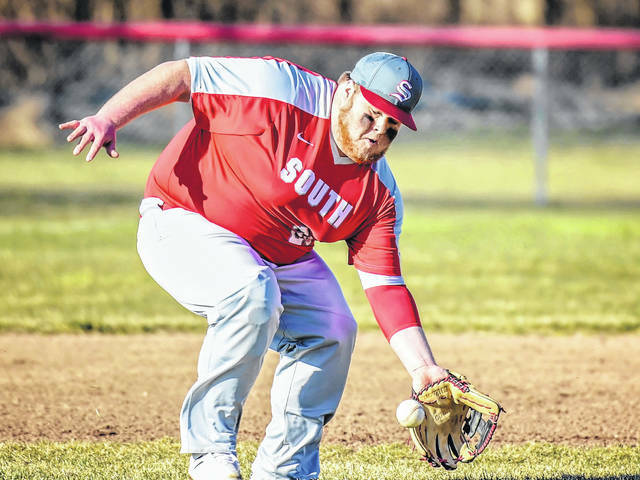 For South, Buddy Henderson was 2-for-4 with 3 RBIs, a run, and a stolen base. Cade Cottingim was 2-for-4 with a run, RBI, and a walk. Cooper Shockey went 3-for-4 with a run and an RBI. Grant Ulrich went 2-for-4 with 2 RBIs and a run. Tyler Miller was 2-for-4 with 2 runs and an RBI. 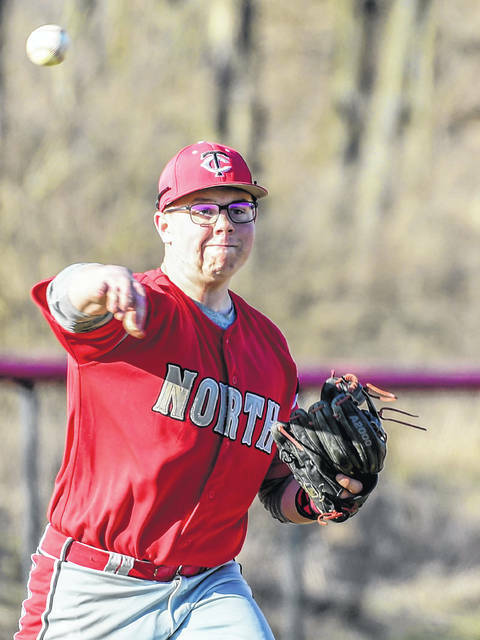 On Thursday, North and Arcanum went 11 innings, before the Trojans managed a 3-2 win. The game was scoreless for the first 10 innings as both team got solid pitching. In the top of the 11th, Liam Downing doubled to score Dylan Curtin to give North a 1-0 lead. Downing later scored on a ground out. In the bottom of the 11th, North retired the first two Arcanum batters. 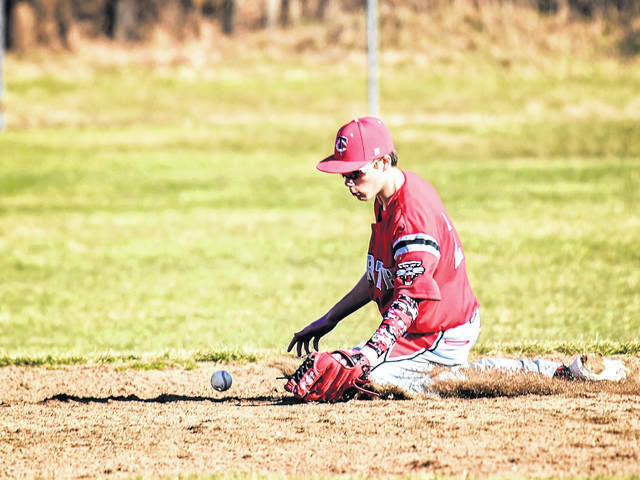 A TCN error kept the Trojans hopes alive. Back-to-back singles loaded the bases. The next batter doubled to tie the game and move the potential game-winning run in scoring position. The next batter singled to end the game and hand North the loss. North (3-1, 1-1 CCC) managed just five hits for the game. 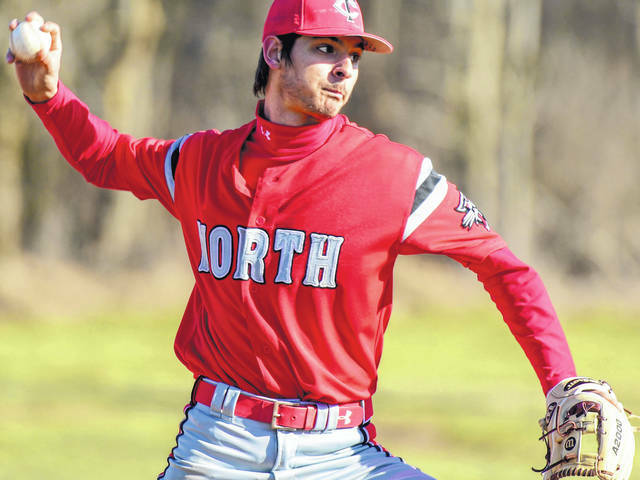 Matt O’Dell pitched the first nine innings for North allowing just two hits and striking out seven. 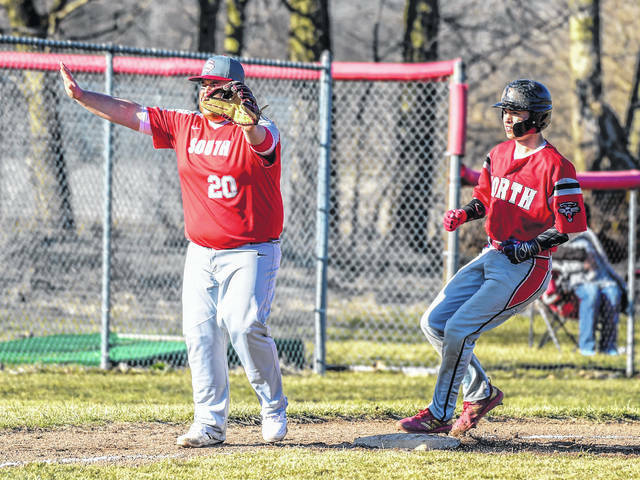 North was scheduled to play Bradford on Tuesday, April 2 and will travel to Franklin-Monroe on Thursday. They will play Coldwater on Saturday at Wright State, beginning at 3 p.m.
South (0-1, 0-1 CCC) was scheduled to play Arcanum on Tuesday. They will travel to Bradford on Thursday and will visit Seton Catholic (Richmond, Ind.) on Friday. 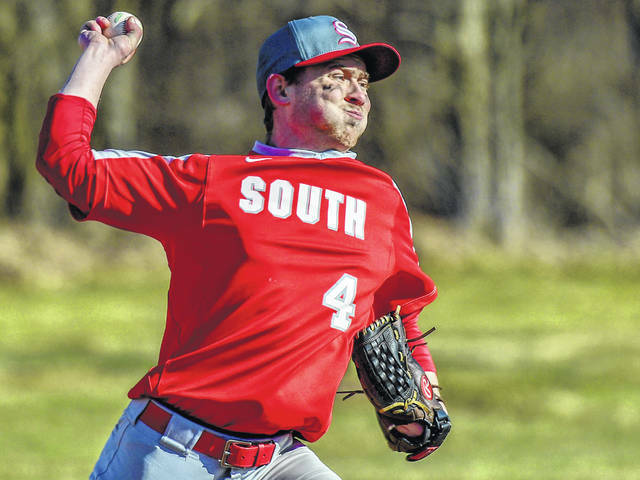 South will wrap up a busy week by hosting Eaton for a doubleheader on Saturday, beginning at 11 a.m.